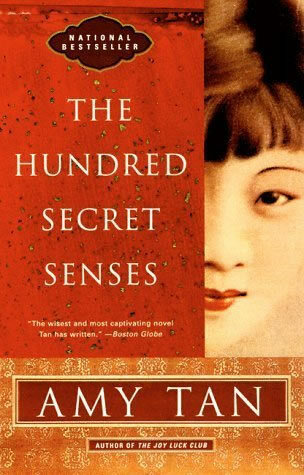 Set in San Francisco and in a remote village of Southwestern China, Amy Tan's The Hundred Secret Senses is a tale of American assumptions shaken by Chinese ghosts and broadened with hope. In 1962, five-year-old Olivia meets the half-sister she never knew existed, eighteen-year-old Kwan from China, who sees ghosts with her "yin eyes." Decades later, Olivia describes her complicated relationship with her sister and her failing marriage, as Kwan reveals her story, sweeping the reader into the splendor and violence of mid-nineteenth century China. With her characteristic wisdom, grace, and humor, Tan conjures up a story of the inheritance of love, its secrets and senses, its illusions and truths. "In Kwan, Tan has created a character with a strong, indelible voice, whose (often hilarious) pidgin English defines her whole personality. No one will deny the pleasure of Tan's seductive prose and the skill with which she unfolds the many-layered narrative." "Tan tells a mysterious, believable story and delivers Kwan's clipped, immigrant voice and engaging personality with charming clarity. Highly recommended." "Tan, a critical and commercial favorite, returns to the fiction scene after a four-year absence with a risky, ambitious novel that tackles themes of loyalty, connectedness, and what it means to be a family."